guacamole is the perfect sidekick! fajitas, burgers, salads, eggs...you name it, guacamole makes it better! i've tried about a hundred different recipes. most of which called for way too many ingredients or things like mango, jicama, celery salt, or vinegar. all that stuff just mucks up the flavor, if you ask me. 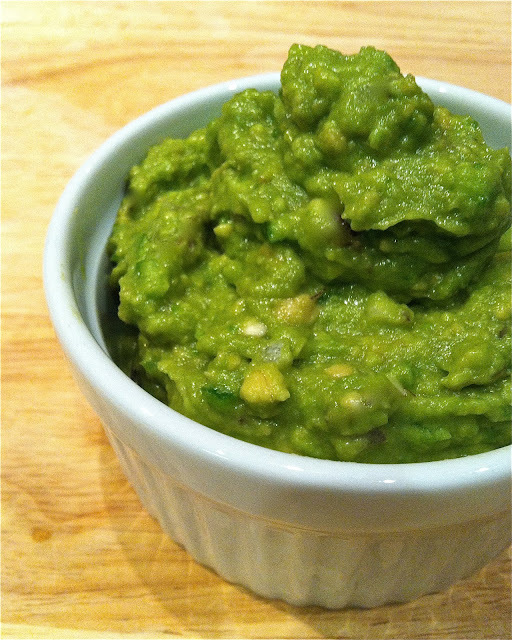 guacamole should be simple and delicious. if i'm eating guacamole, i want to be able to taste the avocado. this recipe is exactly that. it's hands down the best guacamole! people love it and are surprised to find that it only has 3 ingredients and a pinch of salt. did you know that avocado is a super fruit loaded with omega-3s, fiber, vitamins, folic acid and works as a nutrient booster by helping the body absorb fat soluble nutrients like beta-carotene and lutein! read more on how awesome avocados are here. super yummy and good for you! now, doesn't that make you want to whip some up? here's a tip for picking ripe avocados. they should be firm, but give a little when given a squeeze. if they're hard or mushy, put it back. i use Serrano peppers (seeds and all) in this recipe, because i like it super spicy. if you like it on the mild side, use jalapeños (minus the seeds) instead. start with one and add until you get the heat you want. if you're making this ahead of time, you can add a little squeeze of lime and toss in a whole avocado seed to help keep it green and fresh! start by dicing up your onions, jalapeño, and avocados. 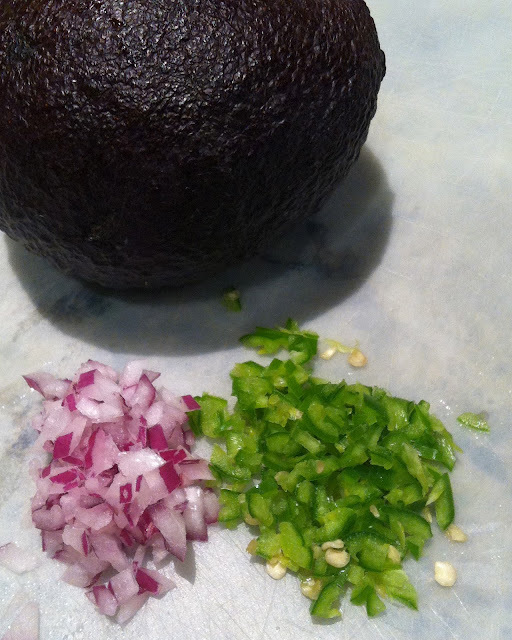 if you're not sure how to cut an avocado, check out Real Simple's step by step! throw the avocado in a medium size bowl. mash it up with a fork until you get it as smooth as you like. i don't work it too much, because i like my guacamole a little chunky. add the onion, peppers, and a pinch (or two) of salt. give it a good mix and taste. this is where you can play with it until you get the flavors you want. did you like this post? leave me a comment or share with friends by clicking a link below!